These two young girls love a bright style and he really suits them. 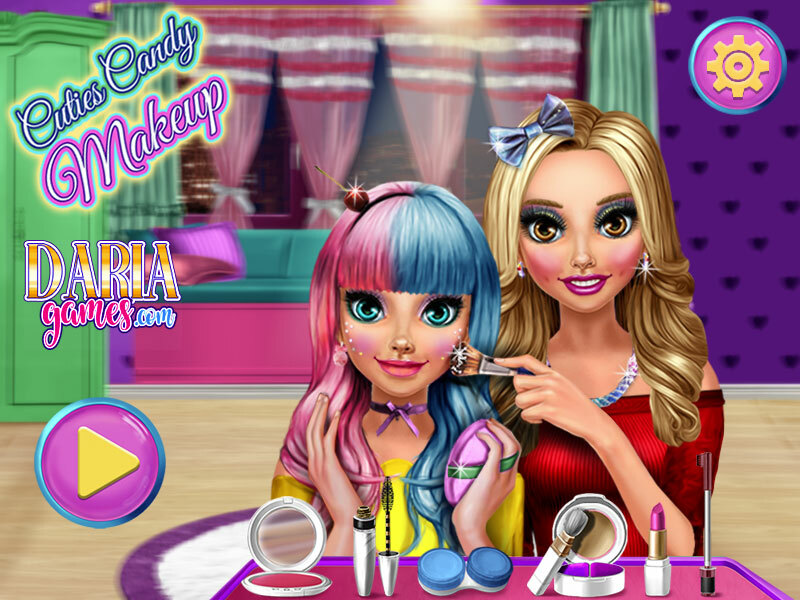 In this game you will be able to create a candy make-up for two beautiful sisters who love to be bright. As in the makeup and in the dress. Today they visited a beauty salon where they do just such a make-up as they like. Join them and have fun. 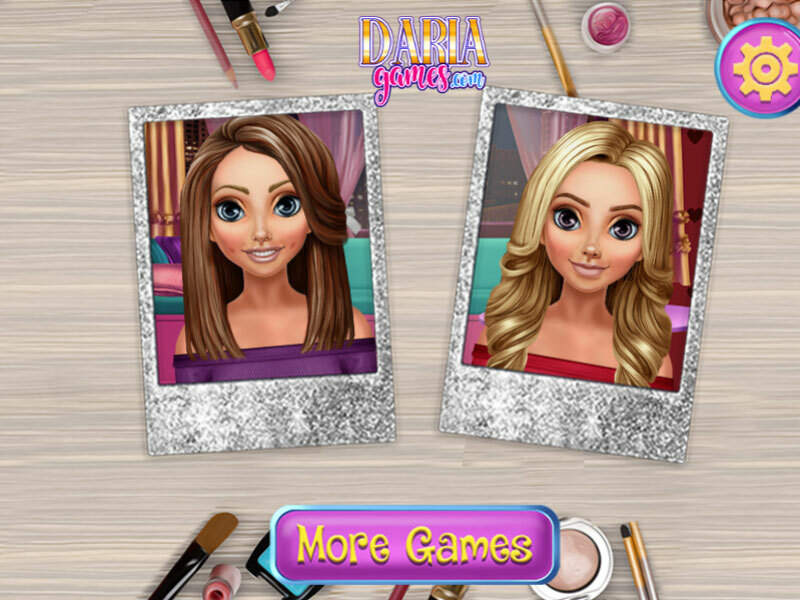 At the very beginning of the game, you can choose one of the girls to create make-up for her. Then you can start picking up jewelry and outfit. Choose different combinations and create the image for girls that they like. Choose a girl and do her makeup. Choose an outfit for the second girl.